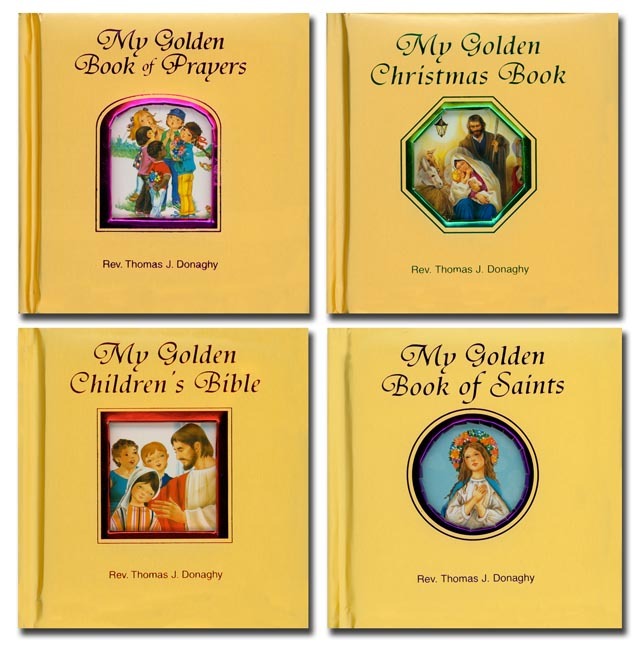 Save $4.00 Four Catholic "Golden Books" includes My Golden Christmas Book, My Golden Book of Saints, My Golden Book of Prayers, and My Golden Children's Bible. Each book provides young children with a sweet, gentle, easy-to-understand introduction to stories of our faith and is exquisitely illustrated throughout in full color. Each with golden padded cover, gilded edges, and ribbon marker. 42 pp. each.